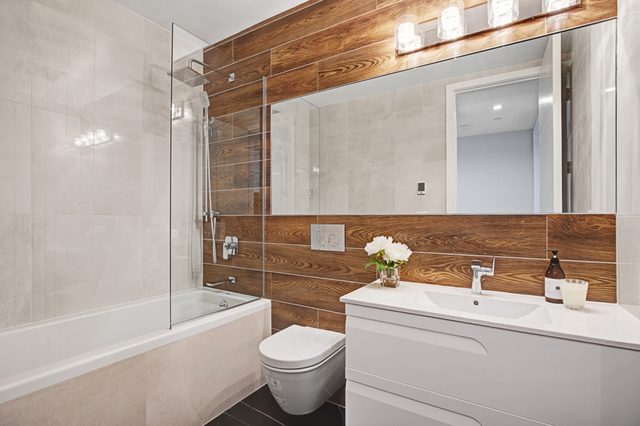 16 Underhill Avenue, #4, Brooklyn, NY, New York 11238. Looking for a Two Bedroom/ Two bathroom with multiple private outdoor space? Look no further! 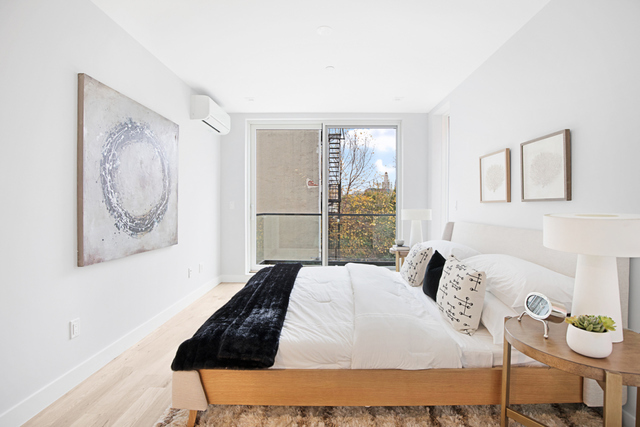 This Contemporary gem in prime Prospect Heights is a modern beauty located directly in front of Lowry Triangle, a magical park where 3 of Brooklyn's coveted neighborhoods, Prospect Heights, Crown Heights and Clinton Hill converge! 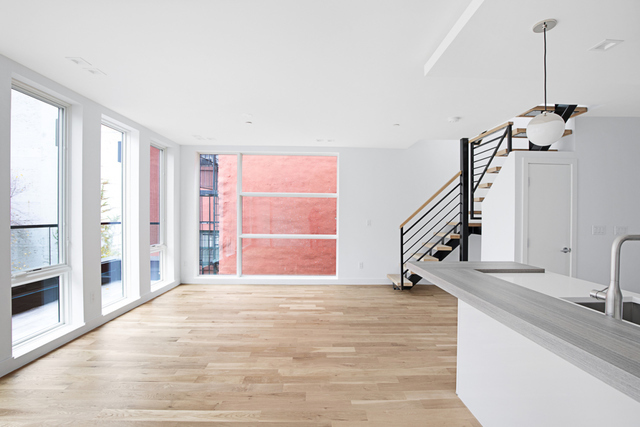 Residence 4 offers a Two bedroom (2BD), Two bathroom (2BA) home with 1,102 interior sf , a balcony, terrace and a 372 sf private roof deck. 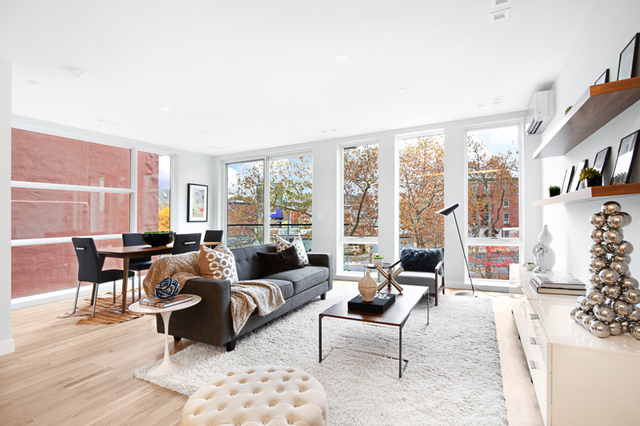 The striking exterior of this sleek 4-story, 4-unit walkup condo boasts floor-to-ceiling windows that wrap around the building, which sits amid a blend of older classics and upscale new construction. 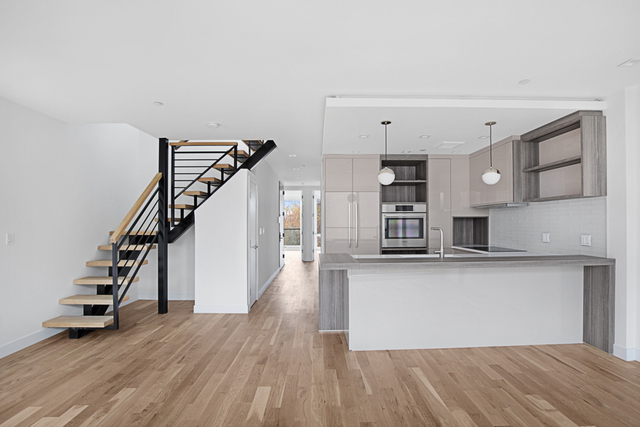 16 Underhill is semi-detached, with expanses of glass windows that wrap around the building, inviting brilliant natural light into each stylish floor-through apartment. 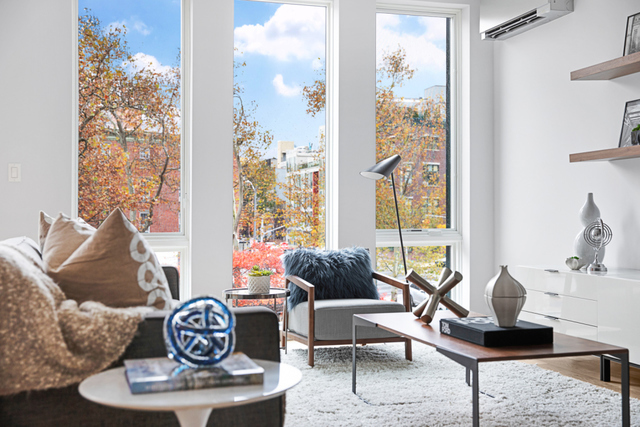 All sun-filled residences, brightened by new Pella Proline Series windows, boast impeccably designed interiors with gracious layouts, white oak hardwood floors, recessed lighting and refined finishes. 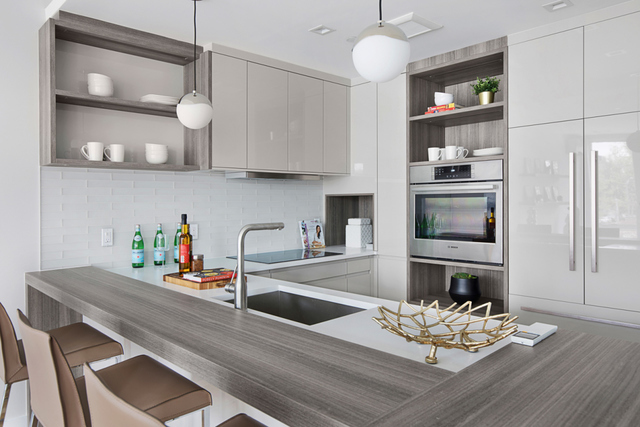 Stunning clean, modern chef kitchens are appointed with custom Leicht white lacquered cabinetry imported from Germany, Bosch 30" wall ovens & electric cooktops, Fisher & Paykel French Door refrigerators, and Miele dishwashers. 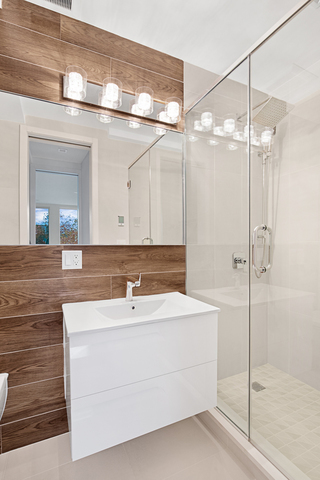 Spa-like baths feature maax deep soaking tubs, geberit in-wall dual-flush toilet systems, radiant heated floors and Duravit toilets. For your convenience there is in unit washer/dryer hookups. 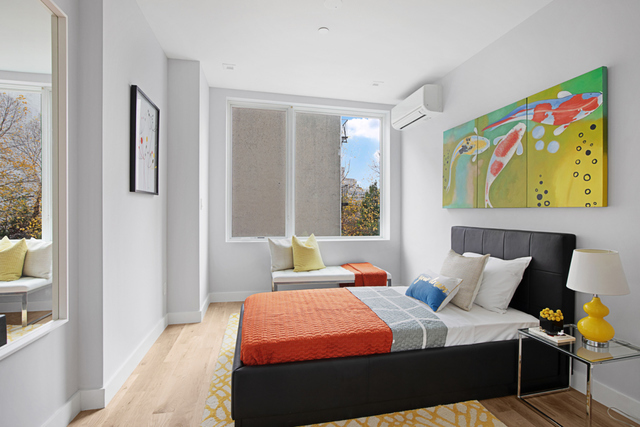 Split system heating & cooling by Mitsubishi allows temperature control in individual rooms for energy efficiency and year-round climate comfort. 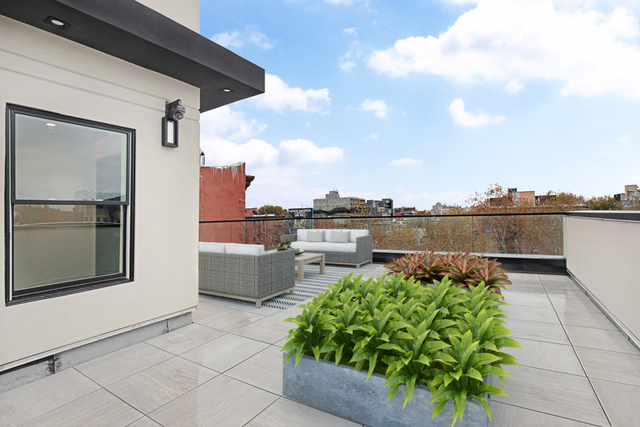 The common resident roof deck offers sweeping urban city views, perfect for entertaining or simply lounging. Steeped in old world charm, Prospect Heights is also on the cutting edge of all that's trendy & notable about Brooklyn. This sought-after neighborhood, brimming with great food & amenities, is anchored by renowned institutions like the Brooklyn Library, Brooklyn Botanic Garden & Brooklyn Museum. Grand Army Plaza, Brooklyn Academy of Music (BAM) and the borough's crown jewel, Prospect Park, also make this one of NYC's hottest living destinations. Catch music & sports events at the Barclays Center, and hang out at any of the craft cocktail bars & hip eateries on Vanderbilt & Washington Avenues. Enjoy quick train access to Manhattan & the rest of Brooklyn with the Clinton-Washington Avenues stops on the C train just 2 blocks away. Citibike is also right outside your door! 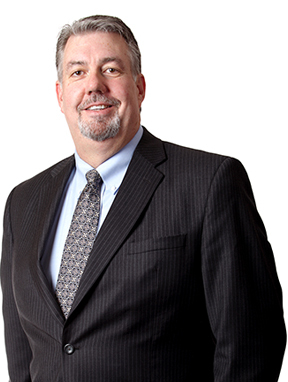 The complete offering terms are in an offering plan available from the sponsor.